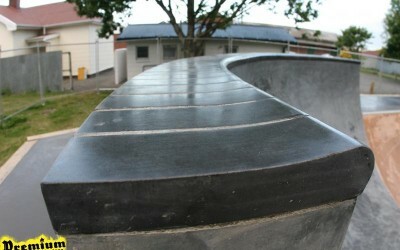 That's a wrap, Ngaruawahia Snake Run open to the public, this has been great build, and the community of Ngaruawahia, have been Awesome, thanks. 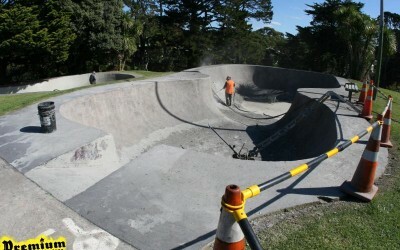 The Hastings weather turned it on this weekend for the park opening, there was a massive turn out of locals and skate crews from Auckland and Wellington showed up to skate. 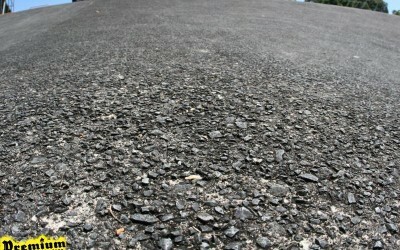 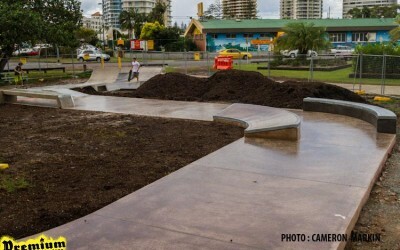 Here are some photos of the recently completed Goodwin Skate Park on the Gold coast of Australia. 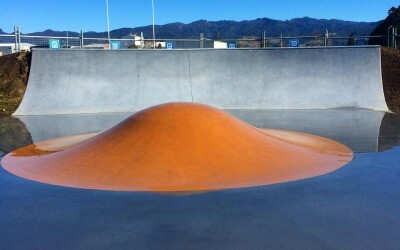 Premium Skate Parks Design's first international design. 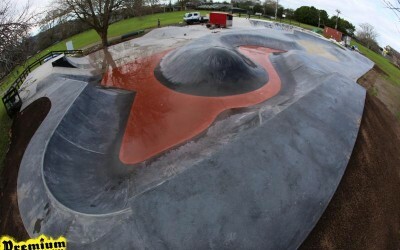 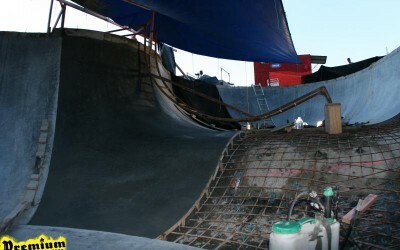 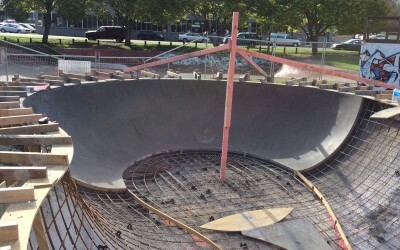 Stage 1 of the Mangawhai skate park, NZ's largest bowl 3.3m deep and NZ's first replica backyard pool style bowl with stairs, love seat and deathbox is now open to the public. 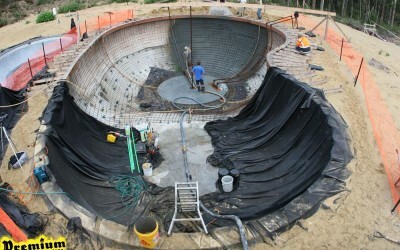 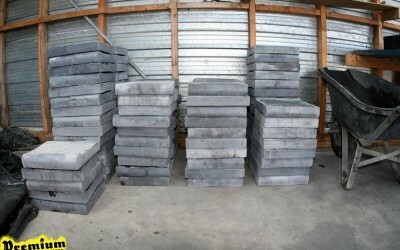 Top Plarforms are all formed and ready for concrete. 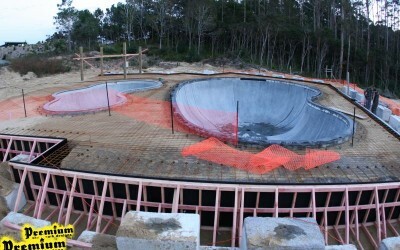 The final section of pool was poured this week, coping and platforms are well on there way to being completed. 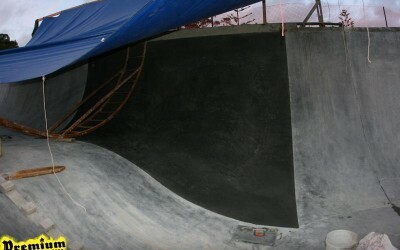 Mangawhai Kidney Bowl,Right Hand Hip Down. 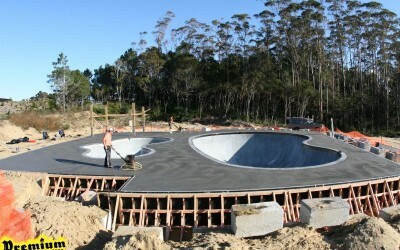 The weather cleared enough for us to get 2 more pours this week.